Import Export all categories with complete data of category. 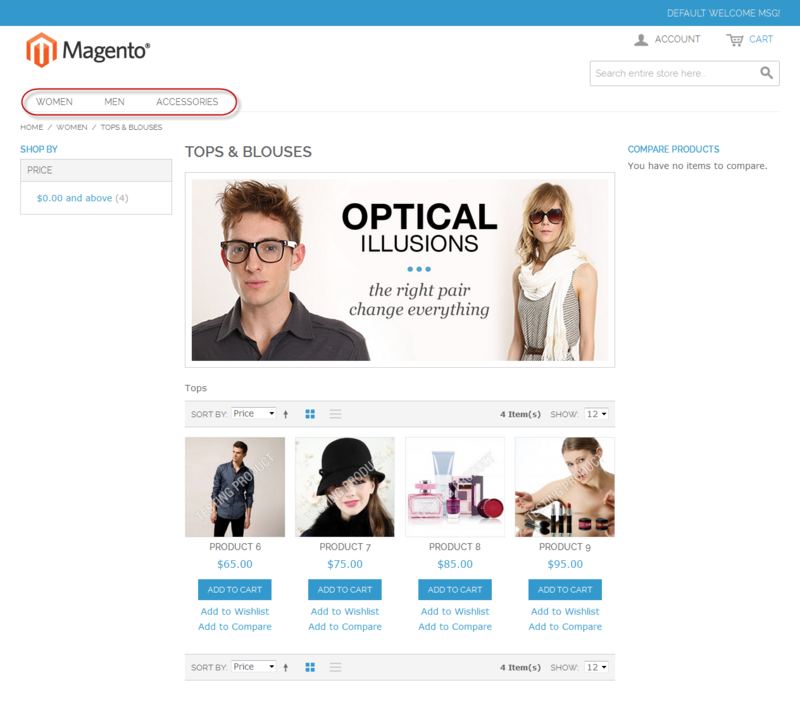 Easy to update and add categories into the Magento store using CSV file. Export categories data with products SKU's. Import Export categories images and thumbnail images. Assign products in to categories while importing categories via CSV file. Include Installation Service +$25.00 If you are not familiar with installion of Magento extensions, then please do not hesitate to order our installation service. The installation will be completed within 12 hours(except National Holidays OR weekends) by our Support Center once the login access details of your hosting server has been received. Note: Installation work will start once customer/client provides all the working details acceptable by support team, so please make sure to provide all correct and working details to avoid any delays. This extension will import/export root categories, sub categories and also assign Products. You can import/export any type of category related data like meta descriptions, meta title, meta keywords as well as if the category active, anchor, category description, category image, page layout and custom layout. This extension facilitates creation of multiple categories, at-a-time using CSV files. You can easily update and insert categories using only single CSV file. 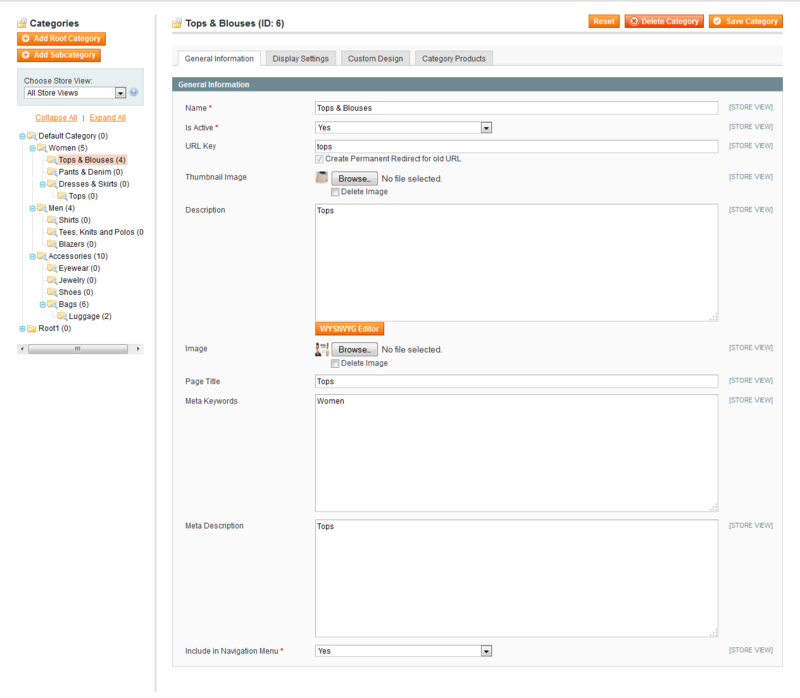 1) Upload "import_category.csv" File in your Magento_Root/var/import folder. 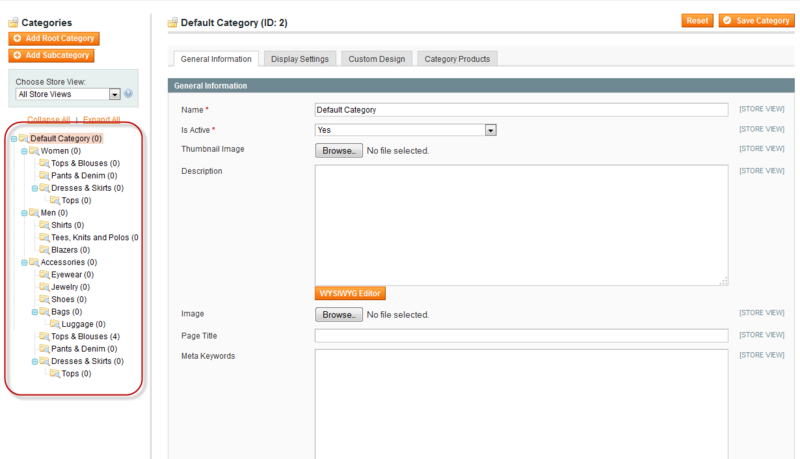 2) Upload "Category Images" File in your Magento_Root/media/import/category folder. 5) Go To System >> Import/Export >> Dataflow – Advance Profiles Section. 6) Click On Import Category then you will get Following Screen. 7) Click on "Run Profile" tab (From left Navigation).You will get Following Screen. 8) Click on "Run Profile in Popup" Button.You will get Following Screen. 9) Now categories imported successfully. You can check imported categories from "Catalog>>Manage Categories" page. 3) Go To System >> Import/Export >> Dataflow – Advance Profiles Section. 4) Click On Export Category then you will get Following Screen. 5) Click on "Run Profile" tab (From left Navigation).You will get Following Screen. 6) Click on "Run Profile in Popup" Button.You will get Following Screen. 7) Now categories exported successfully.You can get "export_category.csv" file into this path of your magento store, Magento-Root/var/export/file. The extension itself is great, and really easy to install on Connect Manager. We realised that it didn't quite do what we wanted from it but we contacted the support and within a few days they had tweaked a few settings so that we can now import new categories & sub-categories so that they import into the correct category, import category updates and export categories with all the editable information. Couldn't recommend the support enough, they know so much about what they are doing and are very quick and helpful to get you sorted. We are now looking into their other extensions. The extension is very useful to what we need to do - which is updating every year the contents of a product catalog. It allows us to import quickly hundreds of categories and subcategories in 6 languages, including also category description, category image and basically most category attributes. We encountered a problem we thought it was an issue of the extension but it proved to be just an inconsistency in our import file. The Magebees support was very quick and helped us by pointing up this inconsistency. Worked as expected - well done! I incurred this extension to redesign countless categories with various information as per store-view: everything worked impeccably. Besides I had a few inquiries regarding it and bolster administration addressed rapidly. I completely suggest this extension. I purchased this extension to import large number of categories. What might have taken me a long stretch of time to do manually but this extension did in minutes. Awesome backing as well! We have been utilizing the Import and Export Categories augmentation for some time now, and it furnishes us with a powerful feature. We firmly prescribe the Import and Export Categories augmentation as an absolute necessity have item for all the Magento stores. It works very well for importing/exporting categories, thank you! Great product and excellent support! The product works exactly as described and is easy to install. Post sale support is excellent. They even made some modifications for me to fit my specific business needs. Q-1 :I click on "Run Profile in Popup" in Import Category Section then I get the following error "Could Not Load file: "...\...\var\import\import_category.csv"
Ans : This error showing that "import_category.csv" not properly upload So Please upload "import_category.csv" File in your/var/import folder. Q-2 :I click on "Run Profile in Popup in” in Import Category Section then I get the following error “General error: 1452 cannot add or update a child row: ……………………"
Q-3 :I click on "Run Profile in Popup in" in Import Category Section then I get the following error "Method 'SaveRow' Not defined in adapter ………………….."
Ans : This error showing that this Extension not properly installs. So Please Properly installs this Extension. Q-4 :I click on "Run Profile in Popup in" in Export Category Section then I get the following error "Fatal error: Class Mage_Capacitywebsolutions_Importcategory on line no 182"
Q-5 :I am getting max execution time error, what I have to do? Q-6 :I am getting “‘var/export’ directory does not exit !” error? Ans :This error comes due to “var/export” directory does not exists or not having write permission. Ans : This error showing that because of max execution time is very low in your store. So please increase your server max execution time our limit. Q-8 :How to import/Update Multi store with Single root category? Ans : Please see the import_category_multistore_single_root_category.csv. Please insert the All Store View Wise Category Name in all_store_category_name Column. ( see the above Screen). Please insert the Store View Wise Category Name in category_name Column. (See the Below Screen). 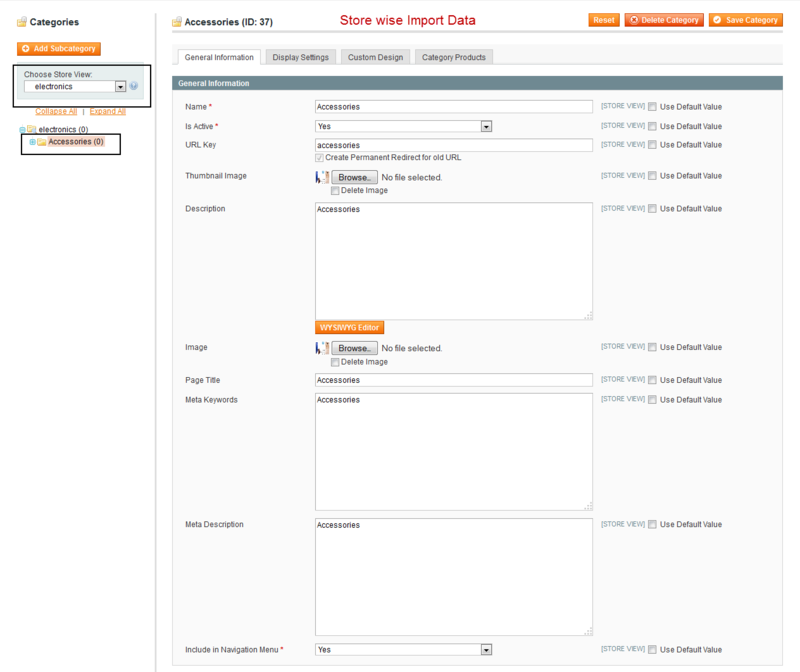 More Refer see the import_category_multistore_single_root_category.csv. Q-9 :Category import working fine but some field showing blank. How i can solve? Ans : This is caused by improper CSV format. Please use openoffice.org calc spreadsheet application and saving in UTF-8 format. OR Please use Google Doc for Convert Your CSV in UTF-8 format.